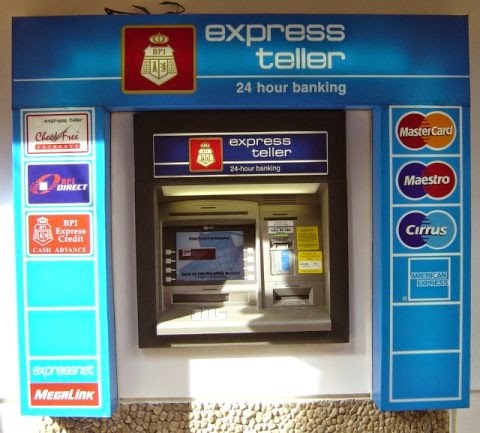 Manila, Philippines - Due to the recent fraudulent activities, Bank of the Philippine Islands (BPI) has released on Wednesday some security tips to avoid automated teller machine (ATM) scam or skimming on their clients. ATM skimming is when someone illegally copies your account details from the magnetic strip on your credit or debit card when you use an ATM. Card skimming happens when the fraudster uses your details to create a fake or 'cloned' card. ATM skimming can hit anyone. All banks seek to protect their depositors at all costs from implementing a 2 factor security authentication process to the installation of the latest bank security technology. However, with the advent of new security technology, skimmers have likewise upgraded their card skimming tricks. 1. Check the area before using any ATM - Be aware of your surroundings and choose an ATM in a well-lit location. Watch out for suspicious people within the area or suspicious objects attached on the ATM. Leave the area immediately or cancel your transaction if it does not feel safe. 2. Have your card ready for use so you don’t expose yourself longer than needed - Your preparation prior to your actual transaction is a personal safety measure. This will not only shorten your exposure to the ATM, but will even make your transaction time faster. 3. Do not use ATMs with tampered card slots, PIN pads or cash slots - Before using any ATM, feel the card reader and the PIN pad areas. Skimming devices are not meant to be permanent and should come off easily. So go ahead and try to pull or tug the card slot. If you feel that any part is wobbly or loose, do not use the ATM. It is always best not to use vandalized or tampered ATMs. 4. Get your card and transaction slip at once - Always collect your ATM transaction receipt. This receipt contains pertinent information of your transaction and can be used against you if it falls in the wrong hands. Make sure you dispose these properly. TIP: The bank keeps a record of all your transaction details. Check your balance and transaction history real-time when you use the bank’s electronic channels. 5. Count your money in a more private location - Never your count your money in front of the ATM. When you get your cash – put it away immediately. Prying eyes might be around and may try to do you harm. TIP: Based from observation if someone spends time counting their money in front of the ATM, chances are, they must have withdrawn a lot. 6. Never accept help from a stranger - Remember what you learned in kindergarten – never talk to strangers. If you need assistance on your transaction or your account, call the bank’s hotline. The contact number is visiblydisplayed on a decal found on the machine. Here are the contact numbers you should know. 8. “P” in PIN stands for PERSONAL. Your card and your PIN is not meant to be shared with others - Trusting someone with your PIN is not a good idea. Circumstances can change and people whom you trust might be placed in a compromising position where trust can be tested. 1. Change your PIN regularly - The frequency of changing your pin depends on how regular you use your ATM card. The more often you use your ATM card, the more frequent you are encouraged to change your PIN. If you feel that your ATM PIN has been compromised, change it immediately. 2. Choose a PIN combination that does not relate to your personal information - Do not make your PIN combination too obvious such as your birthday or a simple 1234. Someone who knows a little about you personally might be able to guess it and use it against you. 3. Cover your hand when typing your PIN - Keep your PIN Safe. Cover your hand when typing your PIN. Even if there is a PIN shield, it’s a good idea to use your body to protect the PIN pad from exposure to the public as you key-in your PIN. TIP: The little bumps on the number 5 key can help you locate the position of the numbers and type in your PIN correctly. 4. Memorize your PIN. Avoid writing it down on any piece of paper or on your card - Writing down your PIN on your ATM card or on a piece of paper invites a high likelihood for unauthorized withdrawal. Doing so can give away your card and your PIN easily to potential fraudsters. BPI admitted recently that it has received reports regarding “abnormal transactions on a specific BPI ATM.” The bank urged its clients to report any suspicious incidents. “BPI remains committed to the security of the accounts entrusted to us, and we would like to assure the public that our ATMs are equipped with security systems which we constantly upgrade with the latest available technological enhancements. Nevertheless, we know that there will always be attempts to break through these systems, and that phishing, skimming and similar criminal acts have become an industry-wide concern. We urge the public to be very vigilant and immediately report such incidents to us,” the company said.